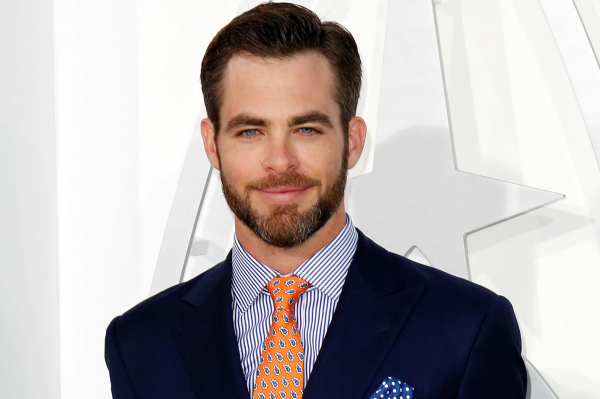 With one successful franchise underway and another in the works, Star Trek actor Chris Pine is poised for mega-stardom. Here are a few must-knows about this talented (and hunky) People’s Choice nominee. Pine may play super-macho characters on the big screen, but in reality he’s a big softie. “I cry all the time — at work, at the shrink’s, with my lady,” the actor told Men’s Health in June. “The Notebook killed me. Up destroyed me. Up was like the animated Amour.” We’re not sure if he’s being serious, but we’ll take it. Sensitive and funny? Swoon. Clearly, Chris is out to make a name for himself in the entertainment industry, but — not that he ever would — he has a pretty impressive family legacy to fall back on, too. His dad, Robert Pine, is still working in the industry as a character actor. You may remember him as Sgt. Joseph Getraer on CHiPs. His mom, Gwynne Gilford, starred in shows like Gunsmoke and CHiPs and films like Masters of the Universe and Beware! The Blob. Even his grandmother, Anne Gwynne, enjoyed a steady career — Universal Studios frequently hired her as a screamer for B-movies during the ’30s, ’40s and ’50s. When it comes to Hollywood’s perpetuation of the perfect image, Pine wishes the industry would ease up. “The mass audience doesn’t want to see you if you aren’t perfect,” he lamented to Men’s Journal. “If you don’t look a certain way, if you don’t have big pecs and great skin and the perfect eyes. And it’s unfortunate, because kids are growing up with body image dysmorphia because not everyone is represented onscreen.” Hear, hear!